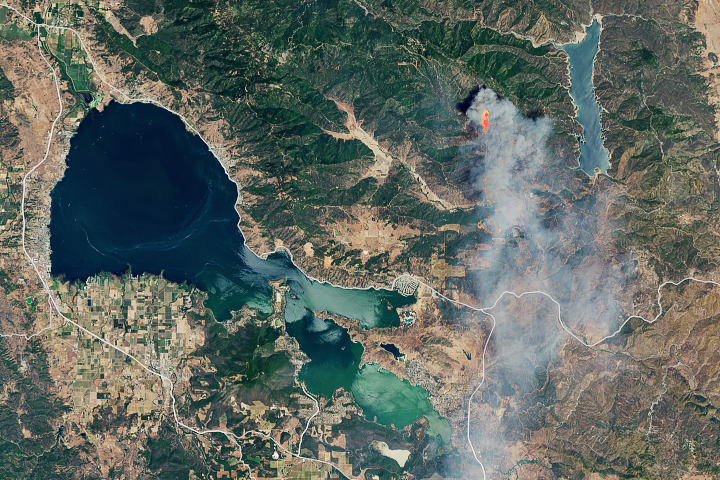 The Amazon fire forecast analyzes the relationship between certain climate observations and active fire detections from NASA satellites to predict fire season severity. 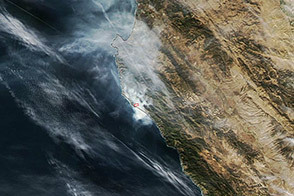 Developed in 2011 by scientists at the University of California, Irvine (UC Irvine) and NASA, the forecast model is focused particularly on the link between sea surface temperatures and fire activity. Warmer sea surface temperatures in the tropical Pacific (as observed during an El Niño) and Atlantic oceans shift rainfall away from the Amazon region, increasing the risk of fire during dry months. For 2016, El Niño-driven conditions are far drier than in 2005 and 2010—the last years when the region experienced drought. The prediction team has developed a web tool to track the evolution of the fire season in near-real time by Amazon region. 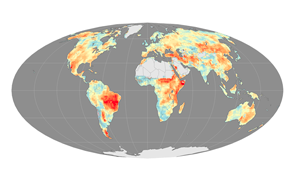 Estimated fire emissions from each region are updated daily based on active fire detections—made by the Moderate Resolution Imaging Spectroradiometer (MODIS) instrument on NASA’s Terra satellite—and data from previous years in the Global Fire Emissions Database. So far, the region has seen more fires through June 2016 than in previous years, another indicator of a potentially tough season. 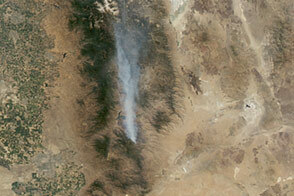 The fire forecast team is also working to improve wildfire forecasts in other regions of the world. 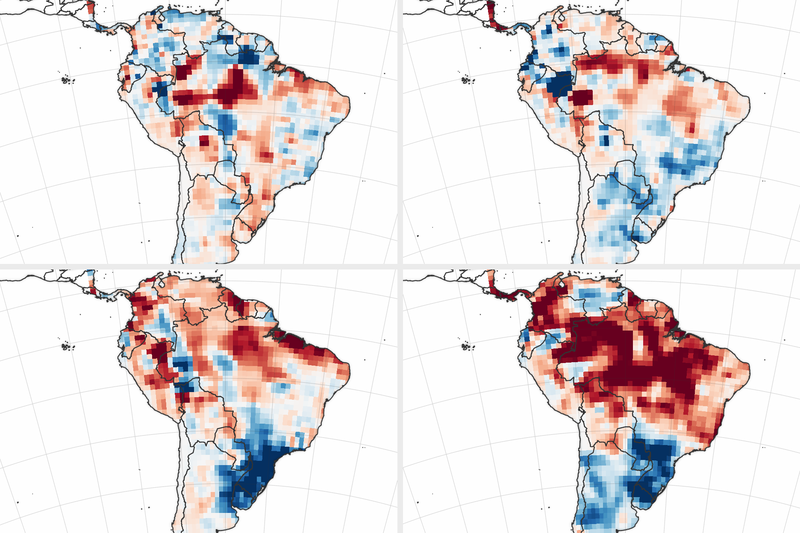 The scientists recently identified nine regions outside the Amazon where fire season risk could be forecast three- to six months ahead of peak fire activity. Randerson said it may be possible to build seasonal fire forecasts for much of Central America and for many countries in Southeast Asia. NASA Earth Observatory images by Joshua Stevens, using data courtesy of Yang Chen, University of California Irvine, and the Global Precipitation Climatology Centre. 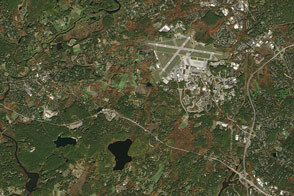 Caption adapted from a news release by Patrick Lynch, NASA Goddard Space Flight Center. The 2015-16 El Niño has primed the rainforest and watershed for burning. Global Fire Emissions Database (2016) 2016 Amazon Fire Season. Accessed July 4, 2016. Yang Chen, University of California, Irvine (2016, June 23) Overview of the 2016 fire season severity prediction. Accessed July 4, 2016. 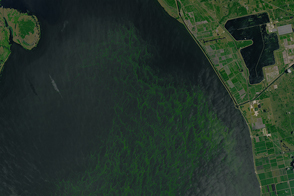 NASA Earth Observatory (2012, September 12) The Gravity of Water. 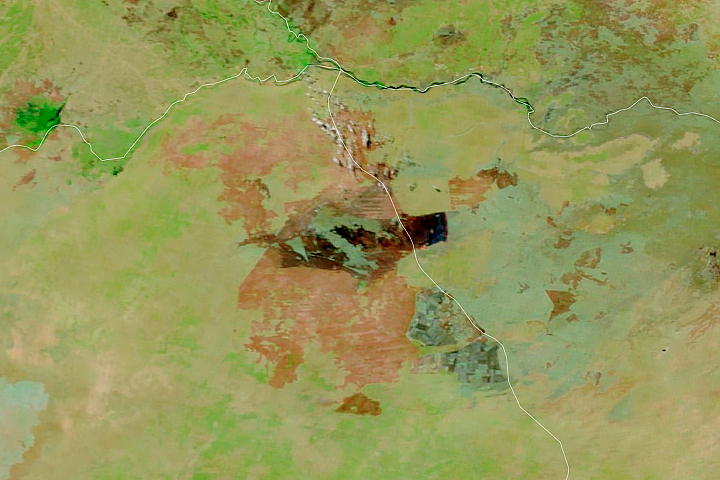 NASA Earth Observatory (2011, April 16) 2010 Drought in the Amazon Forest. 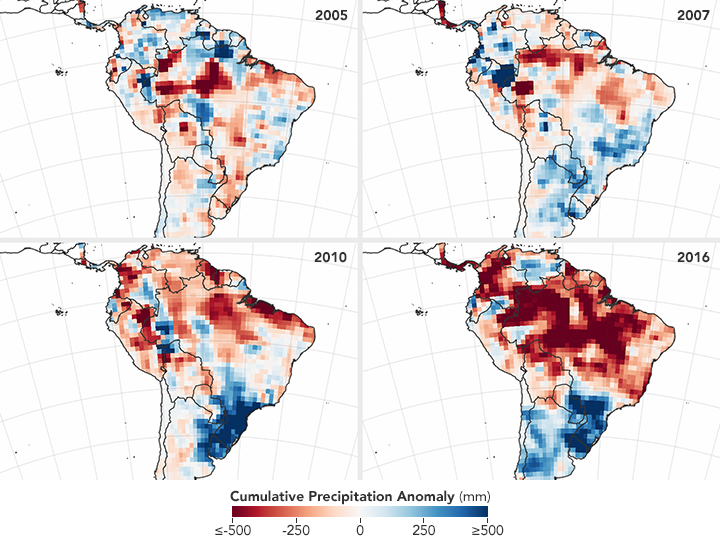 NASA Earth Observatory (2007, September 22) Amazon Stands Up to 2005 Drought.